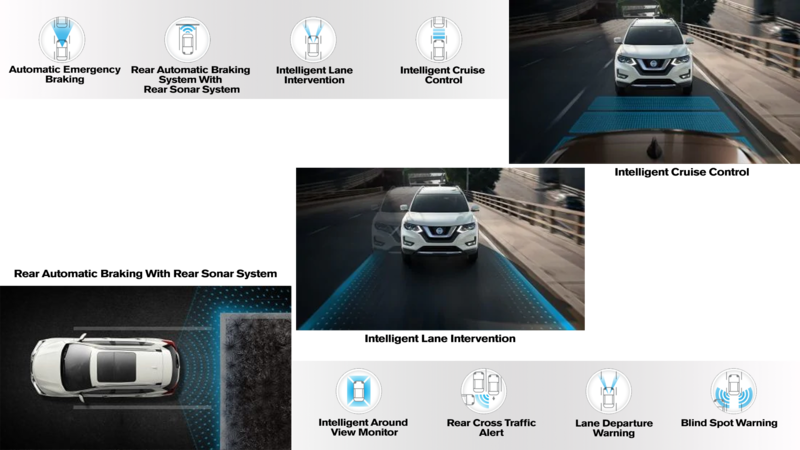 The 2019 Nissan Rogue falls under the growing crossover segment with some impressive awards, accolades, tech, and of course safety features. Looking back at previous years the Nissan Rogue has gathered some prestigious honors. Let’s start off by mentioning the Nissan Rogue Nissan Rogue has won the Consumer Guide Automotive Best Buy Award, not once, twice, or even three times, but an astonishing 5 years in a row. As if that wasn’t enough to grab your attention in 2018 it was America’s Best Selling SUV. What about 2017? The Rogue recieved AutoPacific’s Best In Class Vehicle Satisfaction Mid-Size Crossover SUV. Oh and it made Kelly Blue Book’s 10 Best SUV’s Under $25,000. That was just to name a few awards the Rogue has won over the years, but it doesn’t show the true craftsmanship and quality that goes into the highly rated crossover. You’re just going to have to come in and try one on for size to get the full effect of what makes it stand out to its competitors. Whether you are a roadtripper or daily commuter, the 2019 Nissan Rogue has the tech to deliver. You will be able to stay connected with all your favorite smart devices to keep everyone on board entertained and wanting more. 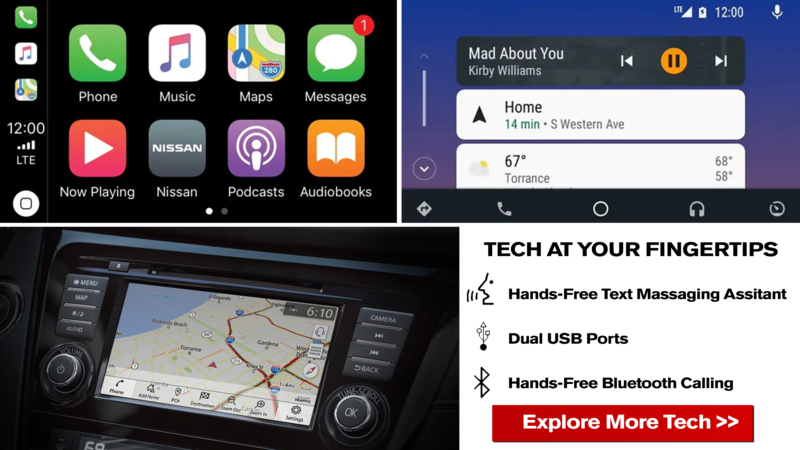 Of course it is equipped with Android Auto and Apple CarPlay so you can navigate your entertainment through the 7″ touch screen with ease. Like to stay informed? The available Nissan Door to Door Navigation allows you to stay ahead of the game with real-time traffic information so you can discover the best route to your destination with turn-by-turn directions and crystal clear graphics. The Rogue is outfitted with some of the most advanced safety tech on the market to ensure you, and those on the road around you, remain safe. What makes the Rogue so safe? It is known as Nissan Intelligent Mobility. But, what is it? What does it consist of? More than you might think actually. Illistrated in the image above, you will see that the Rogue does almost everything but drive for you. It is important to monitor the space around the vehicle including all 360 degrees. The Rogue is great at doing that with Intelligent Around View Monitor. It uses four cameras to give you all possible angles, so that you are aware of your surroundings on all sides. That is just the beginning, you will love the Rear Cross Traffic Alert, Lane Departure Warning, Blind Spot Warning, Rear Automatic Braking With Rear Sonar, Intelligent Lane Intervention, and Intelligent Cruise Control to name a few. See, told you. It does almost everything except drive for you.